Picture perfect setting! 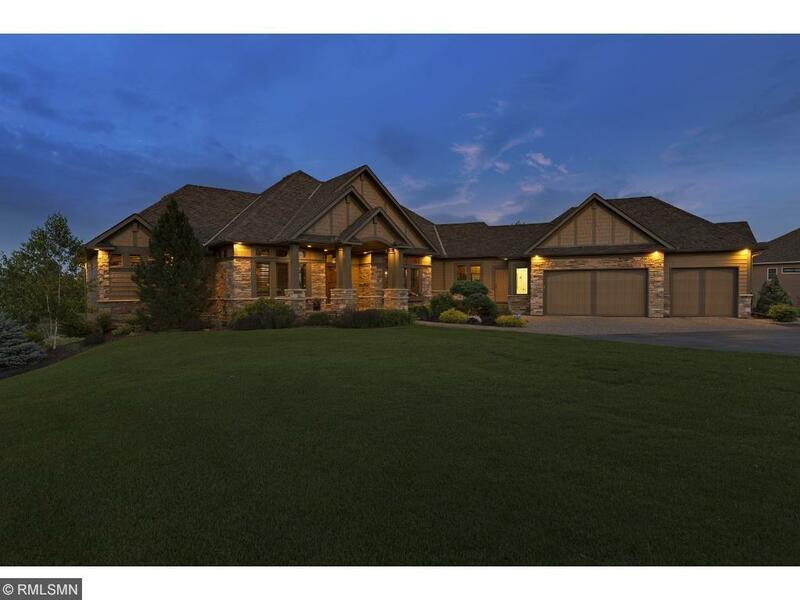 This custom built luxurious walk out rambler is simply stunning, featuring a rich and casual elegance. From the moment you walk in, this house feels like "home" offering a warm & cozy charm, yet plenty of room for entertaining friends & family. Every detail was thoughtfully designed & flawlessly finished. Window abound bring in abundant natural light. Fabulous views overlooking what feels like your own private sanctuary. 3 up (heated) /3 down (heated) + 1 garage stalls!! Directions - I-35 S/Exit CR 70. LEFT/W 1.6 miles to Wagon Wheel Trail. LEFT/S, to 1st LEFT/Boulder Creek Drive. Home is the third house on the left.